One of the best ways I found to line up students is in number order. Each student is assigned a number at the beginning of the year. It’s their order for lining up. 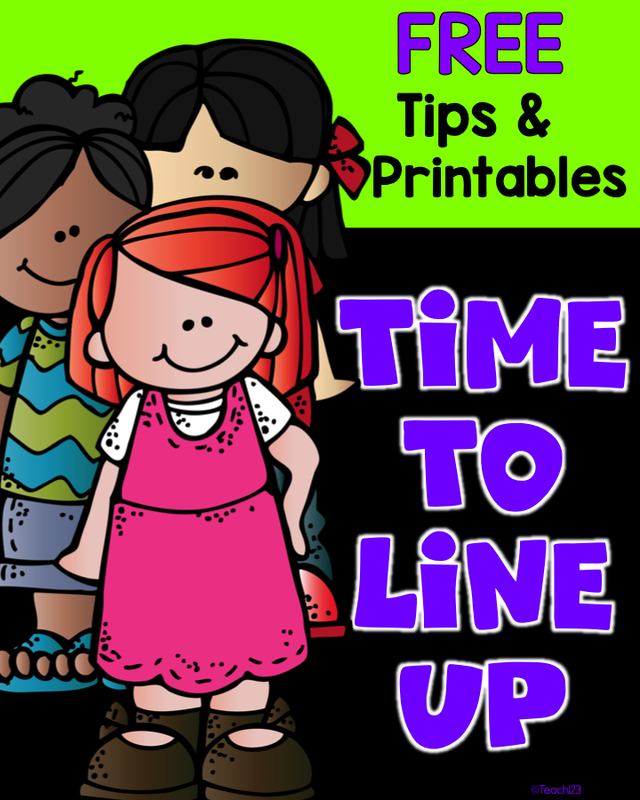 Each week there is a line leader and caboose so there are 2 students who aren’t in the correct order. This stops all of the “he’s cutting in line” complaints that you normally hear. Initially students may complain about the order. Once they figure out that everyone will eventually be the line leader and everyone will eventually be the caboose, they don’t complain about the fact that #2 is always closer to the front of the line than #18. It is much easier to see if you are missing students when you pick them up from recess using this system. 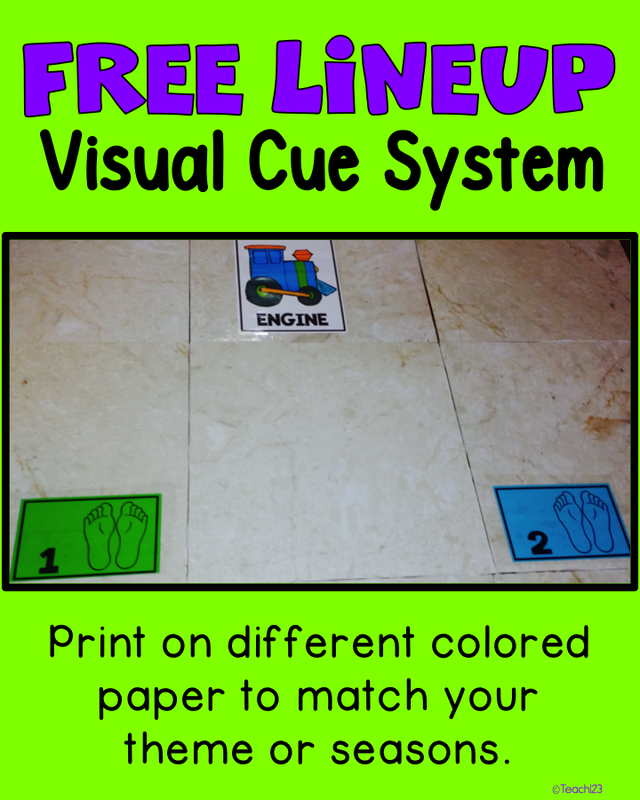 Your students will have the line order memorized before you will, so they will quickly tell you who is missing. We don’t line up in number order to walk to our spots for the fire drill. But, once we are outside, we get in our proper order so we can see if anyone is missing. 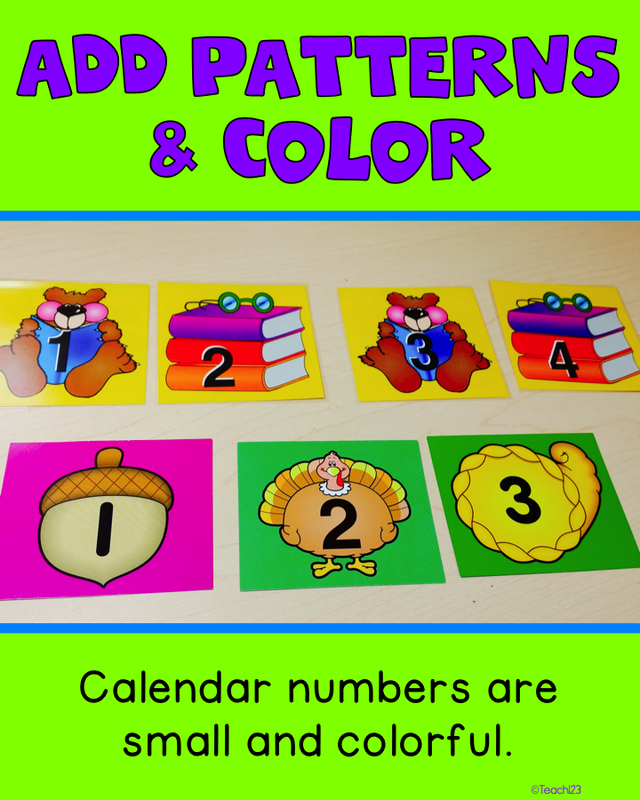 You can use die cut numbers or numbers from a bulletin board set like the ones in the picture. The red and green set are from Dollar Tree. I use calendar numbers for many different things in the classroom. Calendar numbers are colorful and small. Use these to add to your theme or to add some seasonal fun. 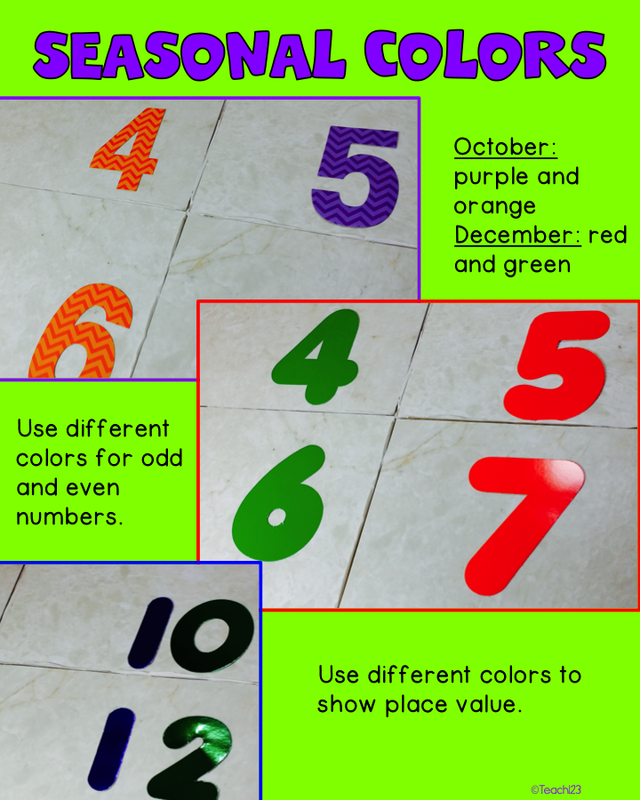 You can add a little math when you line up your students if you tape numbers on the floor. This shows students where they are going to stand. Add a seasonal touch by changing the number order each season. 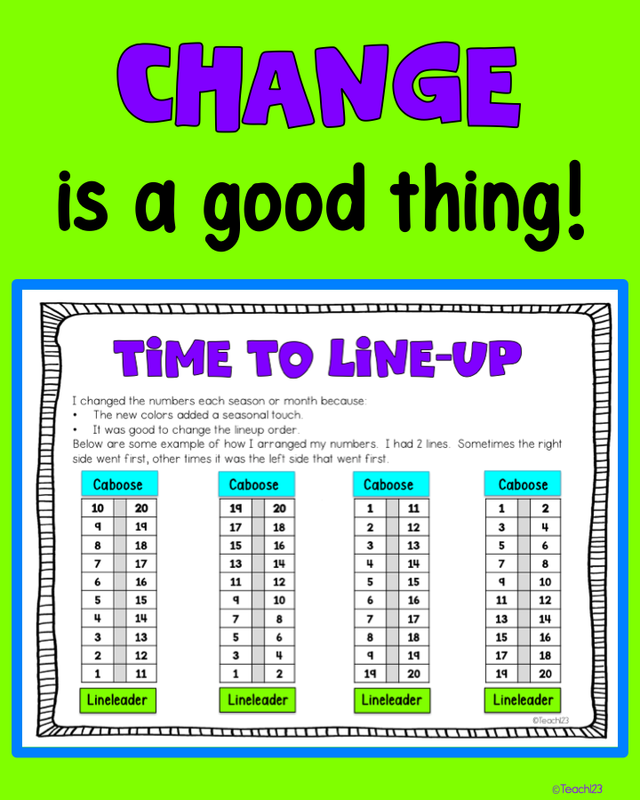 •If your number has an odd number in the tens place, you may line up. •If your number in the ones place is equal to 3 + 4, you may line up. •If your number is odd you may line up. •If your number is even you may line up. •If the sum of 4 + 2 + 3 is your number you may line up. •If today’s day is your number you may line up. Your students will quickly become mental math wizards! How do you line up your class? Click HERE to try out this FREE system.